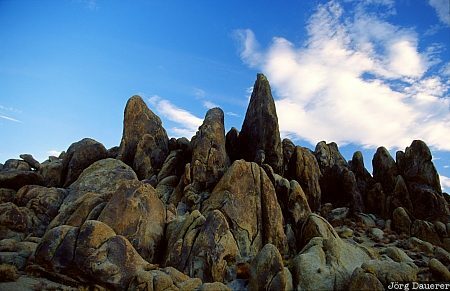 Clouds over typical rocks of the Alabama Hills. The Alabama Hills are in the Owens Valley in eastern California, United States. This photo was taken in the morning of a sunny day in early October of 2002.